SNAP is the federal Supplemental Nutritional Assistance Program, the latest ad copy for food stamps, also euphemized as “Dignity Cards.” In California the program is called CalFresh, which sounds like a family restaurant chain. 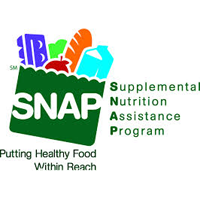 Whatever the name, SNAP is part of a massive handout program administered by the U.S. Department of Agriculture (USDA). In a recent article authors Eileen Thomas of the River City Food Bank and Alissa Anderson of the Sacramento Hunger Coalition proclaim SNAP “our nation’s principal defense against hunger.” Many farmers will wonder about that, and taxpayers will have questions about the authors’ claim that SNAP is also a flywheel of economic activity. Which economists, exactly, make that estimate? No names but apparently they all work for the USDA. The authors ask us to believe that a tax dollar can go to Washington, service the gold-plated salaries and benefits of federal employees in massive bureaucracies like the USDA, then trickle down fully intact to the hinterlands to fill stomachs, create jobs and generate revenues. Nothing in the article about waste and fraud, and according to this article SNAP is rife with fraud and California does a poor job detecting it. On the other hand, Thomas and Anderson do a fine job reflecting the view that the federal government is the source of all good things. That is the dominant belief in Washington and it makes reform practically impossible. If SNAP is the nation’s primary defense against hunger then anyone seeking to trim the program is an enemy of the poor, doesn’t want people to eat, wants to throw granny in the street, and so on. So activists and federal bureaucrats alike have a financial stake in expansion of the program, whatever the level of waste, fraud and abuse. In reality, the nation’s principle defense against hunger is a market economy. Command economies produce scarcity and even famine, as in the USSR, China, North Korea and Cuba. Another defense is agriculture itself, along with the willingness of individuals to work and take responsibility for themselves and their families. Dependency on ever-expanding government won’t help anybody do that.